Achiezer's Krias Megilah Program is back for another year! Last year, volunteers amassed a total of more than 45 Lainings and enhanced the Purim for many in our community. 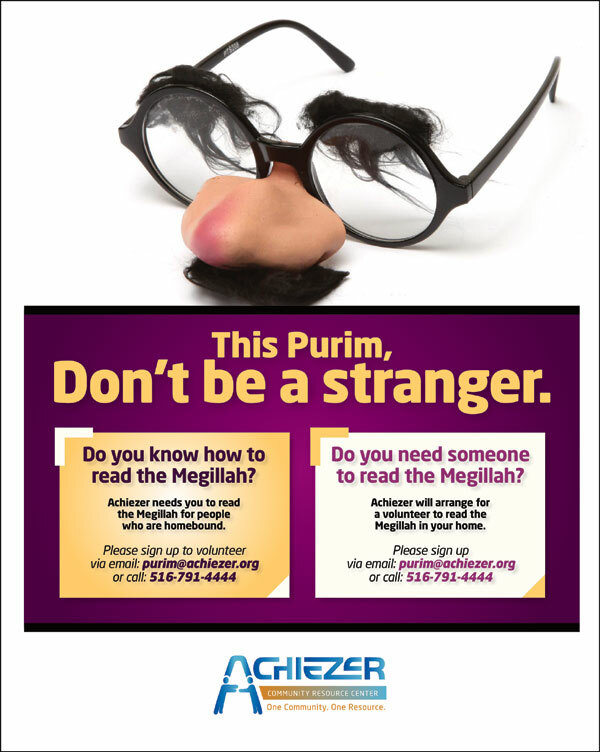 If you are a Baal Koreh and can lain the Megilah on Purim for our elderly, handicapped or home-bound neighbors who are unable to attend Shul, please sign up today. Additionally, if you or anyone you know requires this service, please contact us at (516) 791-4444 or at purim@achiezer.org to and we will be glad to make the necessary arrangements for you.